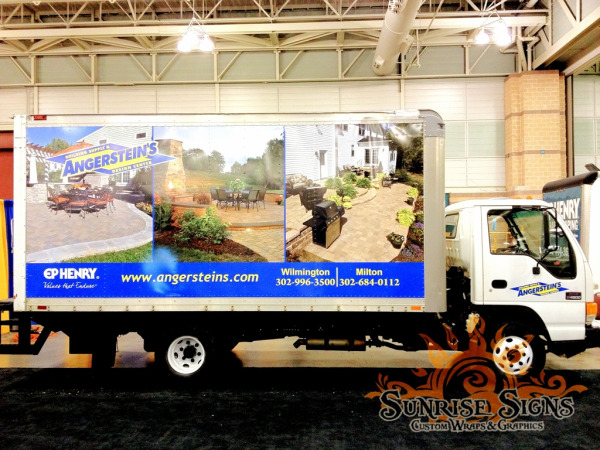 Angerstein’s Lights Up the Competition with Box Truck Wraps in Delaware! Angerstein’s Building Supply & Design Center has two locations; one in Wilmington Delaware in New Castle County and the other in Milton Delaware in Sussex County. This family owned and operated business began in 1924 by Albert H. Angerstein, Sr.